From the moment you meet him, 2-year-old Golden Retriever mix Buster’s magnificent breed background is abundantly clear — his lustrous auburn coat and patient ability to “sit” and “wait” before retrieving, the gentle, loving way he treats you, and even his penchant for jumping in our baby pool (the shelter doesn’t have a lake) all point to his distinguished family-dog ancestry. Buster’s full of good will — playful, intelligent, cooperative and a natural learner; he enjoys other dogs, is good on a leash, and would thrive in almost any home in which he receives the attention he so richly deserves. He’s brimming with health but is overweight, currently trimming down easily. 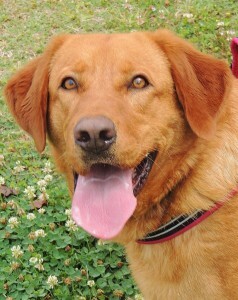 Claim your glorious Golden boy; Buster promises to be the forever-champion of your heart. The lovely orange markings in her soft gray coat make her as pretty as the flower she’s named for, but her most lavish bloom by far is her BIG loving purr. 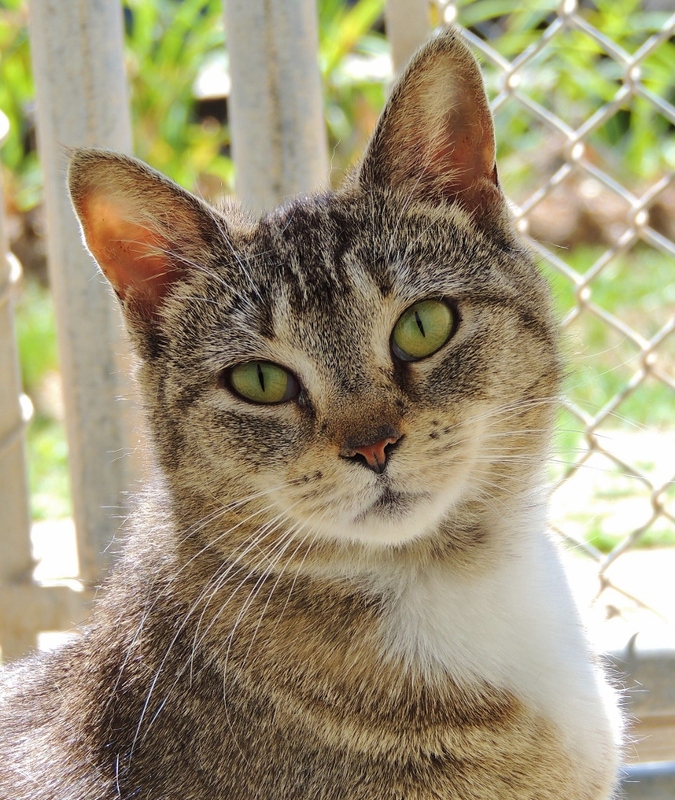 Three-year-old Begonia comes happily when she’s called, she’ll lean in for a rub and settle down to keep you company; she gets along fine with other cats, keeps a tidy space, and adores everyone, your kids included. (Oops, except for dogs. Begonia’s anti-dog, she hasn’t told us why, but apparently it’s non-negotiable.) Begonia could live inside-only or inside/outside, as long as she can grace you with her BIG purr-love as often as possible. Go see Begonia at PetSmart today and feel how your heart blossoms.